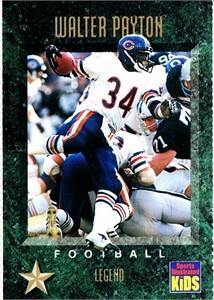 1994 Sports Illustrated for Kids Legends card of Chicago Bears Hall of Fame running back Walter Payton (#321). Has usual perforations. ON BACK ORDER.